There’s this strange building in the leafy backstreets of Abbotsford that might just be Australia’s best place for dog lover’s to work. The locals know it for a giant Bill Murray portrait painted onto the roller door and by the Dr Seuss quote “It is fun to have fun” stamped on a cryptic darkened window. After years of living a few streets away, I still had no clue what the people within this fun-loving building actually did. My favourite theory was that it was home to an eccentric millionaire. As luck would have it, one of our early Scratch customers worked there, and I jumped in my car to drop off a fresh box of dog food. 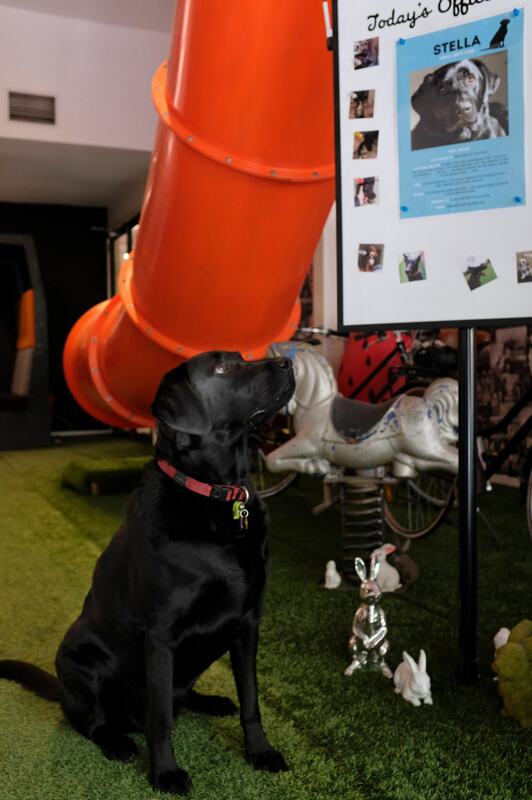 Arriving at Funlab you’re greeted to a sign in the doorway – “Today’s Funlab dog of the day is Laska”. The sign sits next to a slide (yes, a slide inside an office building) and a booth where someone was working quietly in solitude as I entered. After dropping off Laska’s food, I spoke to Founder & CEO Michael Schreiber about what Funlab actually is, and how dogs play a small but vital part. Funlab started as a single Strike Bowling centre before expanding into other fun-filled businesses. Sky Zone, Archie Brothers Cirque Electric, Holey Moley and more recently, B. Lucky and Sons. He’s also the parent to three dogs (a Pugalier, Spiegel and Frenchie) – all who roam the open-space Funlab offices at different times! “We specialise in out of home entertainment, creating fun experiences where you can play and bring out your inner child. We’ve started to call it kidulting” says Schreiber. It makes sense too. Their venues are popular amongst 20-35-year-olds. 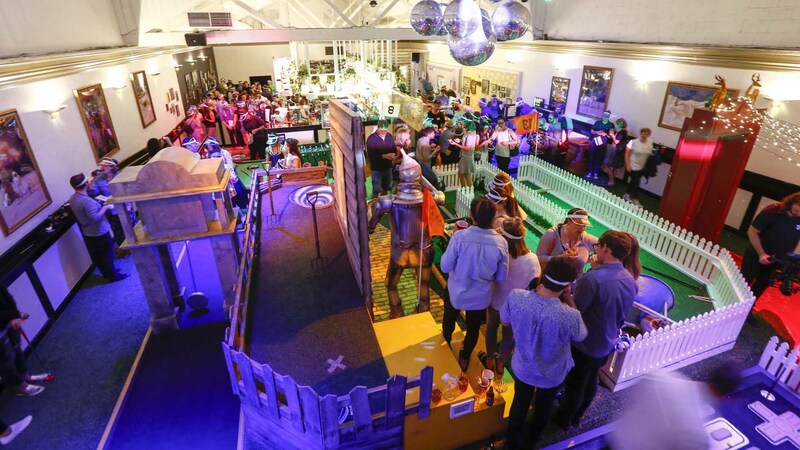 Head down to a night at Holey Moley mini-golf and you’ll feel like you’re amongst a venue full of Tinder dates, breaking the ice over nostalgia and fun. The business of fun has to come from somewhere, and the head office team of around 50 work out of a large open-plan office filled with colour, natural light and young, seemingly happy employees. 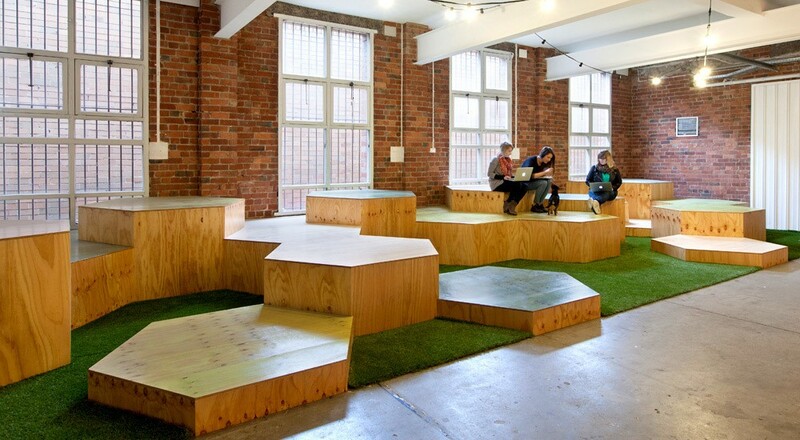 Some spread out in quiet zones throughout the office – booths, couches or large benches. Today’s office dog is Stella who comfortably moves around between different zones of 6-8 people while her dad sits in on a meeting. Stella is the only dog in the building, something that’s come about after years of learning how best to integrate dogs into the workplace. 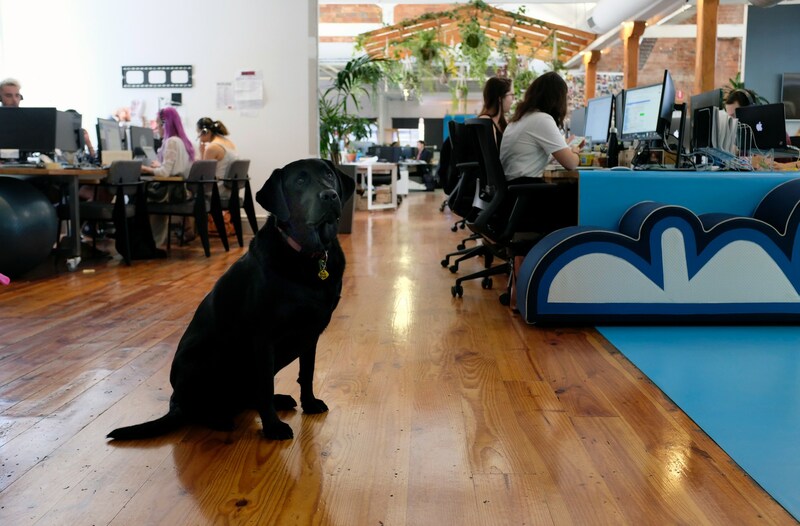 Schreiber shared some tips on what makes Funlab so innovative in the ‘kidulting’ space, what a good culture is to him, and lessons he’s learned about making a dog-friendly office. 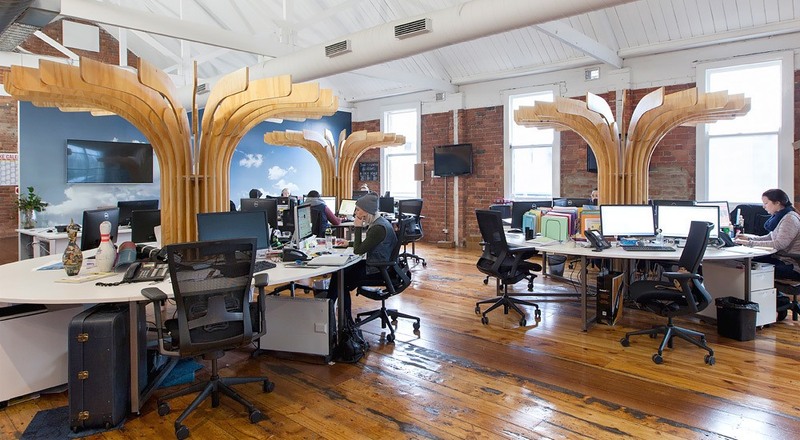 The ideal office is a space that reflects the culture that you wish to foster and resonates with those who you serve. Encourage uniqueness (even embrace non-dog-lovers). Offer freedom within boundaries. When you start with trust and respect, people are keen to repay you. The top of the business has to be authentic and transparent or it’s all hollow and falls apart. The best thing that Funlab did as the team grew rapidly was to appoint a Chief People Officer. They make sure the brand and team never deviate too far from their true north. Support everyone’s development, even if they won’t be at Funlab forever. This extends to growth & support when people move on. Funlab pride themselves even on sometimes working with ex-employees on ventures that they leave to start themselves. You have to work on culture. It’s far from a one-off decision. Measure the effectiveness of culture with things like retention. It all seems to be working. This year over 50 people within the company will be passing their 5th year of tenure within the group. Funlab once had as many as fifteen dogs roaming their old offices. As the team grew and the pains of more dogs became apparent, it’s moved to a one dog per day roster. People really appreciate having their furry companions at work. It’s great psychologically. Dogs are calming and fun. Too many dogs and they wind each other up. No-one gets any work done and their parents end up on edge about controlling their dog instead of enjoying their company. These days Funlab allows no more than three at a time. If you have a large team, create a roster. This makes it clear when owners have their allocated day to bring in their dog. Being fair and clear makes it all work. Funlab is very flexible on dogs rostered days so that they’re able to be walked. Owners take responsibility for their dog’s behaviour. Make sure the dogs don’t get given too many treats. Everyone wants to pamper them! 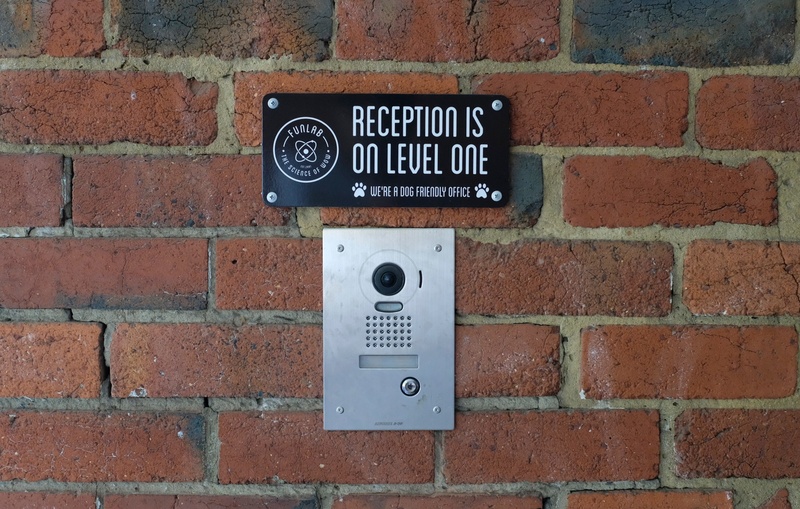 Make it clear to outsiders entering your offices that you’re a dog-friendly office. Not everyone will be used to dogs roaming or even like it. Be respectful and prepare them just in case. Give dogs an identifier. In Funlab’s case, each dog has a sign at the front door. Each day the sign of the rostered dog will appear and teach visitors about that dog’s likes & dislikes. It sounds like a well-oiled machine, but mistakes still do happen. Schreiber recalled the time when he’d just inherited a Frenchie from his niece.”He had been fed a vegan diet and was horribly bloated. I brought him to a board meeting but he kept farting everywhere. We nearly had to abandon ship and reschedule the whole thing!” Luckily a move to a meat and vegetable based diet had his bowels behaving better in just a few weeks! If Scratch and my part-time charade as a dog journo here for Off The Leash fall through, I know where I’ll be looking to work! 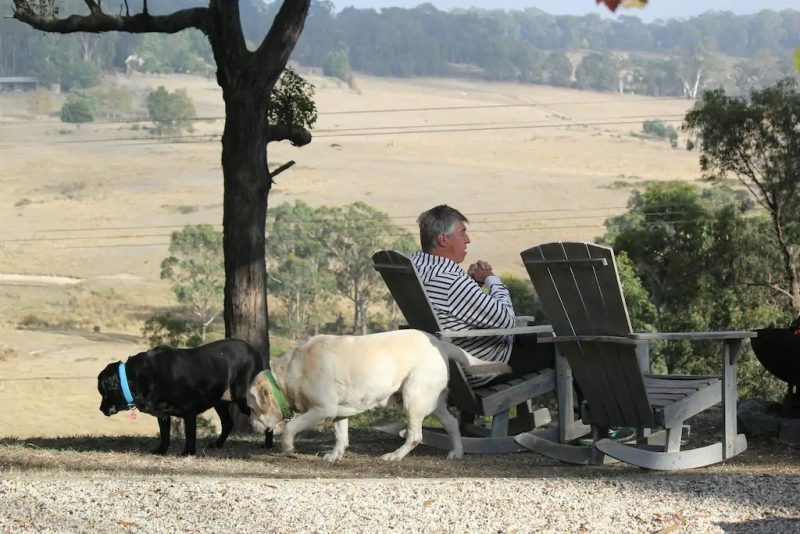 Read more about living the best life with your dog. Mike is a huuuuuuge dog lover and the Co-Founder of Scratch. He's spent his life surrounded by Collies and Cocker Spaniels. 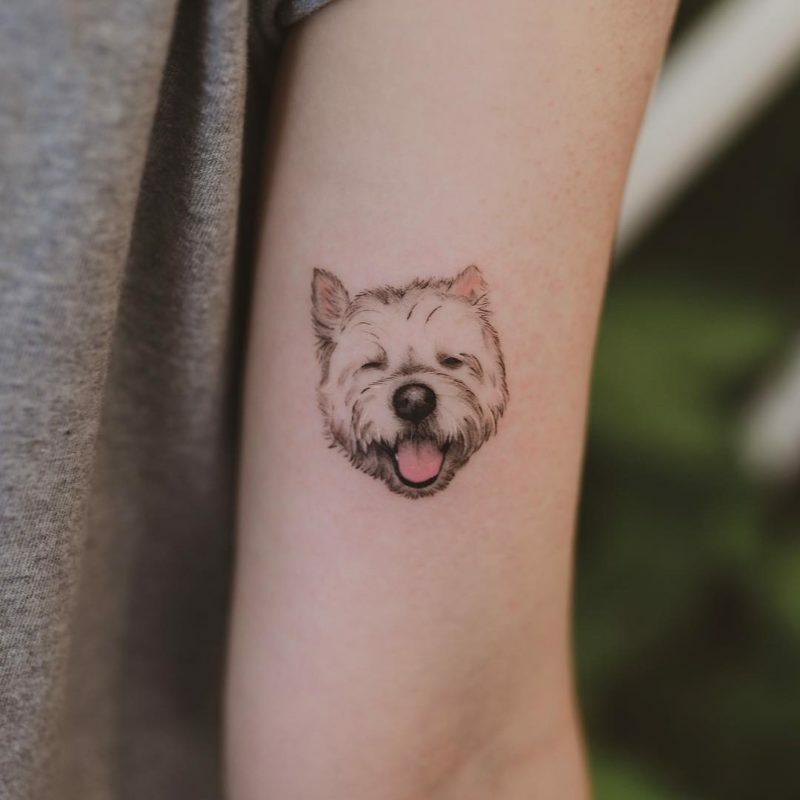 You can find him sipping coffee in Melbourne and pointing out Bernese Mountain Dogs to his girlfriend, in hope that she'll finally let them get one.